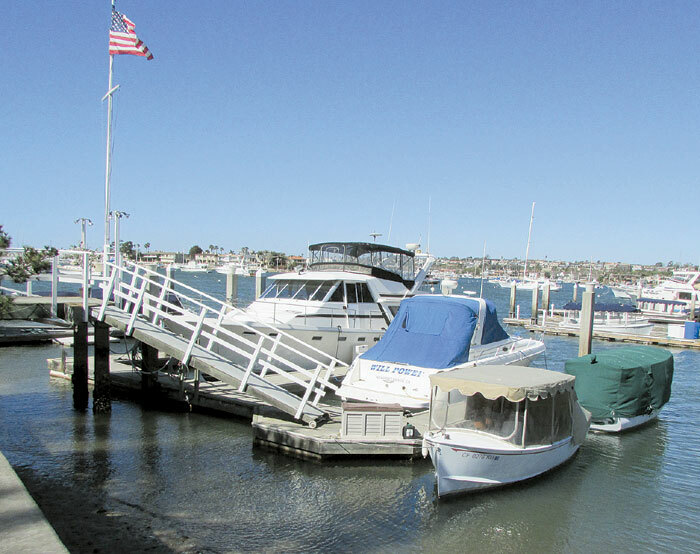 NEWPORT BEACH — On Dec. 11, 2012, the Newport Beach City Council voted 5-1 to increase the annual permit fee for private docks and piers by anywhere from 800 to 5,000 percent, depending on the size of the dock. According to a “Stop the Dock Tax” letter the Newport Beach Dock Owners Association sent to Orange County residents, the new private dock permit ordinance also grants the city the power to seize residents’ docks — their private property — if those permit fees aren’t paid. The Newport Beach Dock Owners Association, a group of citizens and business owners, filed a lawsuit against the city after the fee increase was adopted, on Feb. 21, alleging violations of California state law requiring open meetings. The matter was set for a court hearing Nov. 21, however that hearing has now been rescheduled for Dec. 12. McCaffrey said he does not believe the Newport Beach City Council set out to hold secret meetings to take away rights of local property owners, although that is what he said occurred. “I think they did it unintentionally,” McCaffrey said, describing what he feels might be naïveté on the part of council members. The call to raise dock permit fees, he said, came after an ad hoc committee established in July 2010 held several meetings — without posting an agenda, a meeting date, or minutes to notify the public. And some of those meetings included discussions about charging fees for the owners of private docks. By failing to notify the public, the committee violated the Ralph M. Brown Act, McCaffrey said. “Ad hoc committees are supposed to meet for limited purposes, for a short period of time — and this ad hoc committee morphed into something else,” said attorney Steve Baric, who is working for the Newport Beach Dock Owners Association. “It met for over two years, had several members come and go, never posted agenda notices and made a series of decisions on a series of issues that, in our opinion, created a standing committee of the council,” Baric said. “And a standing committee, therefore, has to comply with the more stringent parts of the Brown Act. Under the private dock permit ordinance, instead of the annual $100 residential pier fee, private dock owners are now required to pay 52.5 cents per square foot of their dock. The new annual charge for a majority of the piers averages $300 to $700. Owners of large residential piers, however, are charged as much as $3,000 per year. The city of Newport Beach has a $263 million budget for just 86,000 residents, according to the Stop the Dock Tax website — stopthedocktax.com. It has $100 million in reserves and a brand-new $131 million city hall building, the site pointed out. McCaffrey said he is wary of what may lie ahead, in the way of pier permit fee increases.